On the eve of my 24th birthday (just over a year ago), I cried my eyes out like a 23 year old baby. I don’t totally remember why specifically, just that there were a lot of breakdowns that year (as it happens, I would like anyone considering moving overseas to know that the “not there yet” part is way worse than the “oh good, everything/one I love in the world is somewhere not here”. It’s not too bad, I promise). I do remember sitting on my best friends Emily and Travis’s porch and feeling pathetically and irrationally nostalgic. This is the last time I’ll be 23 in America! I cried. Newsflash: it was the last time I’d be 23 anywhere. The day itself played out like most birthdays do, which is to say quite sweetly and with much love from those whose birthdays I forget every year. But ultimately, and this is my first public admittance of this, it was a crappy birthday. As a matter of fact, it was a crappy birthday because it was a good birthday. I have this horrible tendency to grieve things before they happen, and so with every birthday wish, I felt as though someone was saying goodbye to me. Of course they weren’t saying goodbye at all, they were saying happy birthday. The real goodbye was another 3 months away, but now you know what it’s like to live inside the head of a crazy person who keeps mental note of the anniversary of every fun thing I’ve done with everyone I know, not at all unlike Leslie Knope. My birthday sucked because I felt too loved, and I was focusing on preparing myself for April 15, 2013, when I would turn 25 alone and with papaya salad substituting for chocolate cake that says “We love you and will never forget you and wish every day was your birthday! Congratulations on living!”. Lauren’s assault snapped me back to the present, where I found myself in Vietnam, in the home of awesome friends in an awesome city and, to my suspicion, an awesome birthday ahead. 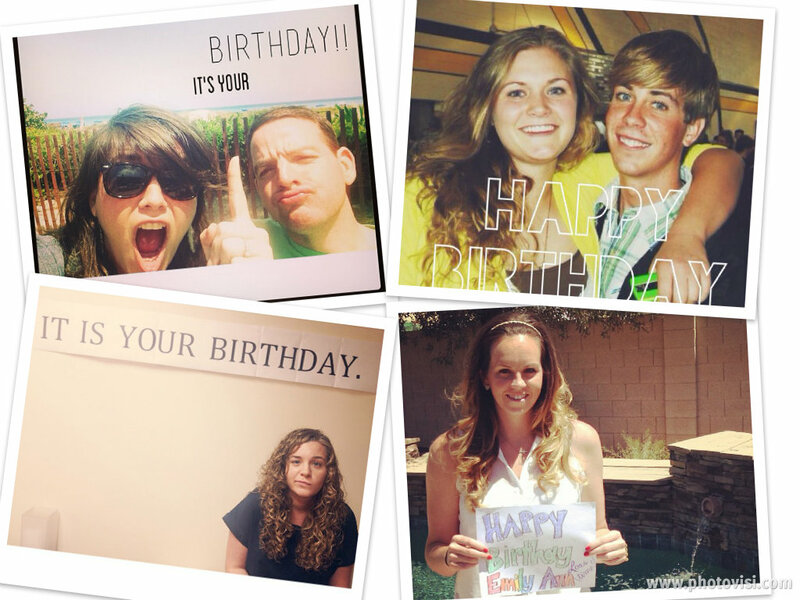 My friends, both near and far, had thoughtfully orchestrated a social media blitz in my honor that displayed pictures of me with my friends, each with its own thoughtful birthday wish and a “We love you and will never forget you and wish every day was your birthday!” Or something like that. Equally wonderful were the pancakes and decorations I woke up to, courtesy of Jenny, Aaron, and Lauren, names that would have meant nothing to me on that porch a year ago, but now mean…a lot. All my irrational thoughts and fears that characterized much of my 23rd year and that pitiful meltdown on April 14 centered on one thing: leaving. “I’m excited to go, but I don’t want to leave” I said a bazillion times. What I meant was: “There are no more friends left for me in the world.” No more cool people to meet. No more I love you’s to be exchanged. Laos was calling, but it called me to come alone. Have you noticed my melodramatic paradigm through which I view the world? (this can be good and bad, but never subtle) So on my 25th birthday, while surrounded by friends–something I didn’t dare dream about last year–my birthday played out the way all birthdays do, but it (happily) did not play out the way I expected. And thankfully, papaya salad was absent from the menu. Later that day, Aaron took Lauren and me to the beach where we collected seashells for an art project we knew would never be completed. Upon realizing that, we waded into the ocean, our pockets filled with shells, and started throwing them into the water. With every shell we wished something. “I wish we would be rich. I wish we would find rich husbands. I wish our husbands would be best friends. I wish we would have students for the new semester. 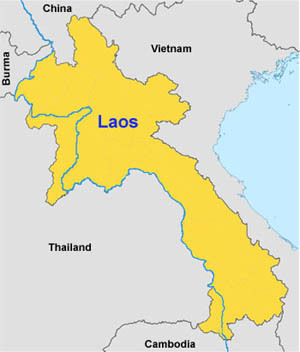 I wish we would get a movie theatre in Laos.” Some wishes were frivolous while others were more practical. We wished things for our own friends and for each other’s friends. For babies, weddings, money, health, you name it. We had a lot to cover. On oneof the last throws, Lauren cast her shell into the water and yelled “I wish Emily would have the best birthday ever!” And in Vietnam, in an ocean, in a place where I thought, Oh good, someone I love in the world is right here, her wish came true.